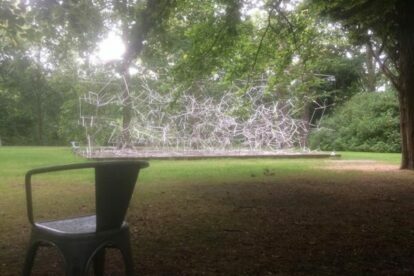 Middelheim park is in the European TOP 10 of art parks! Everywhere you look, you will find some (strange) art. The park is ‘overgrown’ with statues of animals, people, futuristic items, houses… and bright colours. This year, you will find fixed chairs (as seen on the picture) where you can enjoy your time between all this crazy art. Don’t rush yourself through the park, take your time. And also keep your eyes to the sky: even the big trees are stages for inventive sculptures. PS: During winter, this park is amazing to run in, the cold fresh air rushing right into your face. Personal tip: Come here for your run! I visit this park weekly to have my run together with some sporty friends. Here you will meet many locals who fell in love with this beautiful green area in our town. The park is 30 hectares! From the city center (main square) it is a 1 hour walk. Or you can take a bus of tram number 7 or 15. Tip: check out the Middelheim Museum: entrance is free! Attention: the park is not always open. The surrounding park is always open.